Few days left to the event, more details has not yet been announced. The public is anxiously waiting. 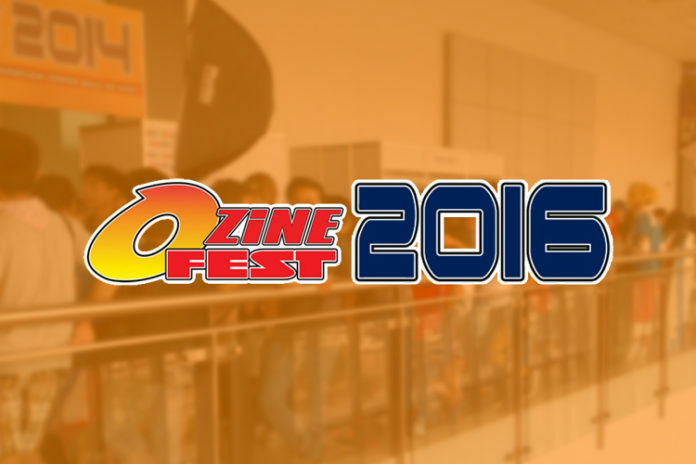 Come Friday, or so they said, is Ozine Fest 2016… or so we thought. How much are the general admission tickets? and, is it really going to be held at the SMX Function Rooms 3-5? We have been waiting for the next announcements from the organizers themselves regarding the ticket prices since after the announcement of ticket prices of the FLOW’s concert for Saturday night. Aside from that, we’ve barely heard from them since. Now that we are in the week leading up to Friday, which is supposed to be the first day of the event, one must notice that there is still uncertainty about Ozine Fest 2016. We are still waiting for the announcement regarding ticket prices for the three day event, when it should have been announced on an early date so that people can really save up for their entry to the event! People are already talking about a rumored PHP300 ticket price, and a lot of people are discussing about it on social media. Their opinions had been divided, with some are for it, while others are against it. To be fair to the organizers, we still do not know what is the actual ticket price, but by not telling the ticket price ahead of time gives people uncertainty, specifically if they could even attend the event because of the price or would the event be worth the price it would be charging. Hell, everyone is not even sure what do they consider as “full capacity” for the FLOW concert and how many people already bought tickets for each section! The uncertainty also on the event venue is also telling, as the SMX Convention Center posted on its website a certain “Otaku Expo” event is scheduled for April 16 and 17 at Function Rooms 4-5. This is despite the fact that sources from SMX Convention Center management had confirmed to Anime Pilipinas that the event is going to be held at Function Rooms 3 to 5. We are also not hearing anything from the guests, if they are confirming or not, well, save from a video from FLOW that they posted last April 1 saying that their first Philippine concert is a go, but after that, we haven’t heard from them since. Everyone is anxious, and this is not good for the event organizers, who has handled Ozine Fest since they started in 2005. The long wait and the long drag into this uncertainty would certainly make everyone, from the nervous-nelly exhibitors, to the security personnel, the media people covering the anime events beat, cosplayers, and the event attendees. Why the uncertainty? Why the drag? Why is it taking them so long to announce the most important details about their event? Is Ozine really taking things to themselves in the hope that a surprise is going to be in store for their fans who, until now, are still waiting for an official word on Ticket prices? Is Ozine taking things real slow because they don’t want to happen the very same issues that hounded them two years ago at the SMX? Or is Ozine taking again that big bang surprise again that will, for sure, make their fans and attendees angry at them again for making a mockery of events like they had done recently? Somebody created an event page on Facebook called “Rambulan sa Ozine Fest 2016”, and we are treating it as a joke. We seriously hope that it will not come to fruition… well, for the second time around. I’m pretty sure that they do not want a repeat of 2014’s brouhaha. This uncertainty is what it makes Ozine Fest more like an uncertain possibility to happen on those dates. Don’t get us wrong, we do want Ozine Fest to happen, especially for those who paid a fortune to experience FLOW up close. To the organizers, our advice is, you should get up on their deep sleep and start working your asses off. It is only a few days to D-Day, and the event audience you have served for the past 11 years is now out again to judge you. Time for learning is over. This is your second chance on redemption… Don’t make a mockery of it. DISCLAIMER: This editorial expressed the views of Anime Pilipinas, but it does not reflect the views of all the members of the Editorial Team, its friends & partners. If you have any reactions, please use the feedback form by clicking here, or on our social networking accounts.